This is a group read with the following people: myself. Yes, this has got to be the loneliest group read I have ever participated in. Mystery and detective novels are one of the most popular genres, but have you ever wondered who wrote the first mystery novel? 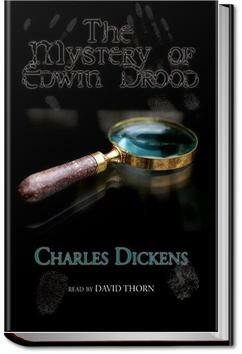 I came to The Mystery Of Edwin Drood, Dickens’s last and unfinished novel, by chance. ➡ REREAD 12/2017: Seriously, there are so many clues in here. My head hurts. Happily, though.